Showing 1 - 15 of 16 articles tagged "Making a Murderer"
Making a Murderer couldn't re-create the surprises of Part 1, which was the talk of Christmas 2015. Check out The Late Late Show's production of Making a Halloween Murderer: Michael Myers. Watch a mashup that suggests Toby Flenderson is the "Scranton Strangler. 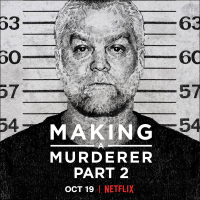 Netflix and the Making a Murderer team aren't involved in the follow-up to the hit docuseries series. Lawyers for Brendan Dassey want America's highest court to review a federal appeals court decision that his confession was voluntary.